Hit one out of the ballpark with this great fundraising idea! 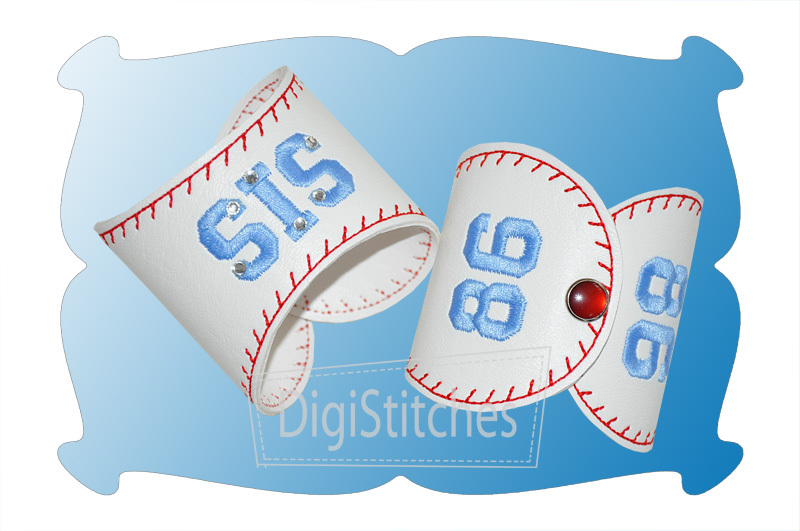 Our baseball bracelet is sure to be a home run! For an authentic look, we've made ours from vinyl. Size Small: fits most younger children. Finished size is 7 inches. Requires a 5x7 hoop. Size Medium: Fits most older children and adults. Finsihed size is 7.5 inches. Requires at least an 8x8 hoop or 6x10 hoop. Size Large: Fits most plus sized adults. Finished size is 8 inches. Requires a 6x10 hoop. 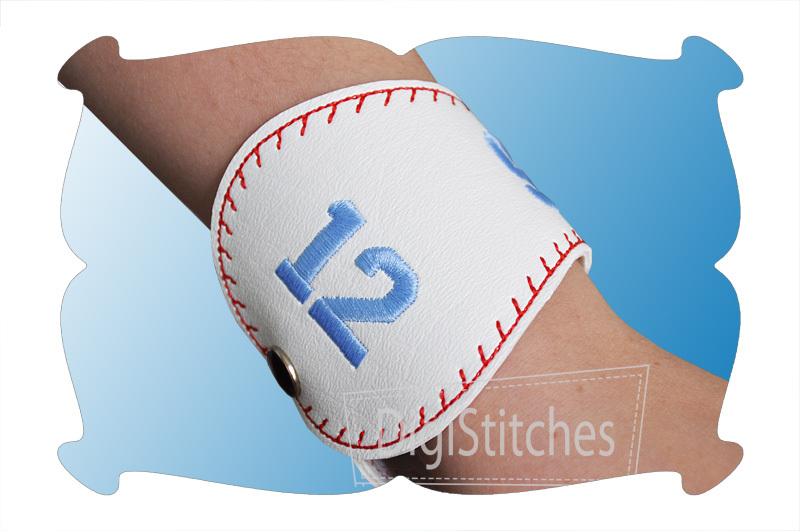 All sizes include: MOM, SIS and a blank bracelet for your to personalize with a name or team name. Varsity Font is also included. See details below. Hit one out of the ballpark with this great fundraising idea! Our baseball bracelet is sure to be a home run! For an authentic look, we've made our bracelet from vinyl purchased at Joann Fabrics (see detailed image above for sku#). New to applying snaps? Find a free Snaps 101 Tutorial by clicking on the Related Products tab. Size Small: fits most younger children. Finished size is 6.5 inches/ Actual deisgn size 4.07 x 6.89 inches. Requires a 5x7 hoop. SC: 2299 (blank). Size Medium: Fits most older children and adults. Finished size is 7.5 inches/ Actual deisgn size 2.71 x 8.19. Requires at least an 8x8 hoop (Janome) or 6x10 hoop. SC: 2384 (blank). Size Large: Fits most plus sized adults. Finished size is 8 inches/ Actual design size 2.77 x 8.69 inches. Requires a 6x10 hoop. SC: 2413 (blank). 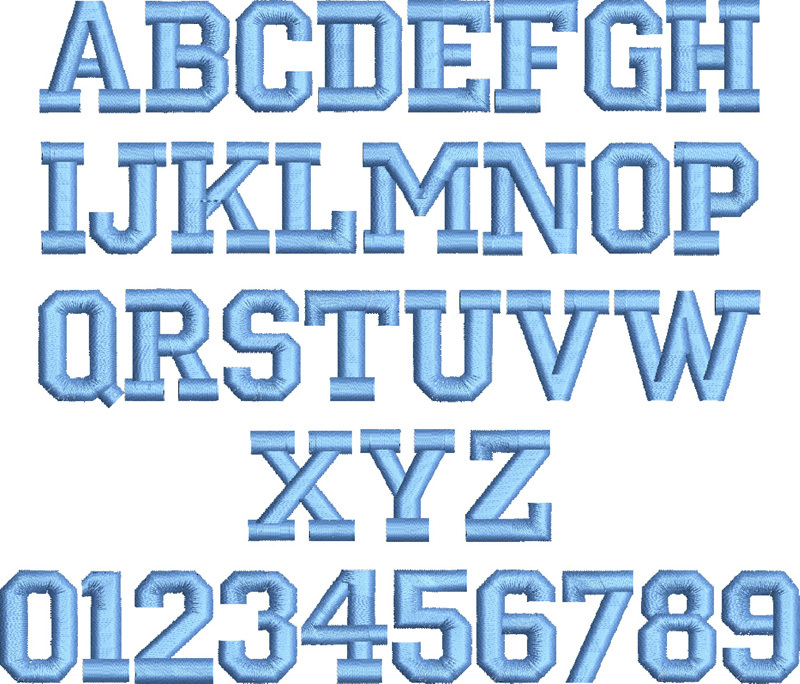 Varsity Block Embroidery Font is included. Capital letters A thru Z. Numbers 0 thru 9, all in one size to coordniate with all sizes of the bracelet.